We provide complete wedding & party planning in the South Florida area. 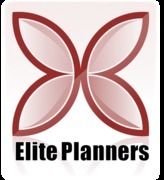 Elite Planners offers different packages from consultation to full planning. Baby Showers, Bautism & First Communions, Proposals, Family Reunions & Retirement Parties.